The Fame G2000 Workstation Keyboard is a fantastic 61-note, touch-sensitive keyboard with over 900 sounds onboard, providing great value for money in a solid housing. Within the vast library of sounds, users will have access to classic instrument sounds such as acoustic piano, electric piano, guitar, brass, percussion, strings and choir, just to name a few. Editing parameters are available to sculpt onboard sounds, to edit attack or release, or add effects like reverb or chorus. A split feature is also available for creating regions with different sounds on the keys. If some rhythm is needed during playing, there are 240 accompaniment styles like pop, rock, funk, latin and gospel amongst others. The 7” touch display intuitively shows necessary information, making the G2000 real easy to use. The recording function allows 16 tracks to be recorded and edited in CD quality. The great quality of sound, at the level Yamaha S550 and may be even better, great design and the big color touch display. I am very pleased that i bought this synthesizer. For this money it is the best choice. Perfect keyboard for a great price, great sound, great display, and super MP3 and VAW. odorúcam everyone ... a lot of bang for little money. Control better than the Yamaha Tyros. very nice design. I bought it for € 100 cheaper than in Slovakia. Its a great keyboard for this price. It sounds better than my Korg Kross and have all the functionality you want. This keyboard is a magnificent instrument for the price, has a great array of sounds and accompaniments and is very versatile when you need to edit voices or styles or create these from scratch. The keyboard plays Midi files and MP3's and sounds great as the speaker system in the keyboard is far better than most keyboards costing many times more, the touch screen is fab and everything is at hand and easy to use. 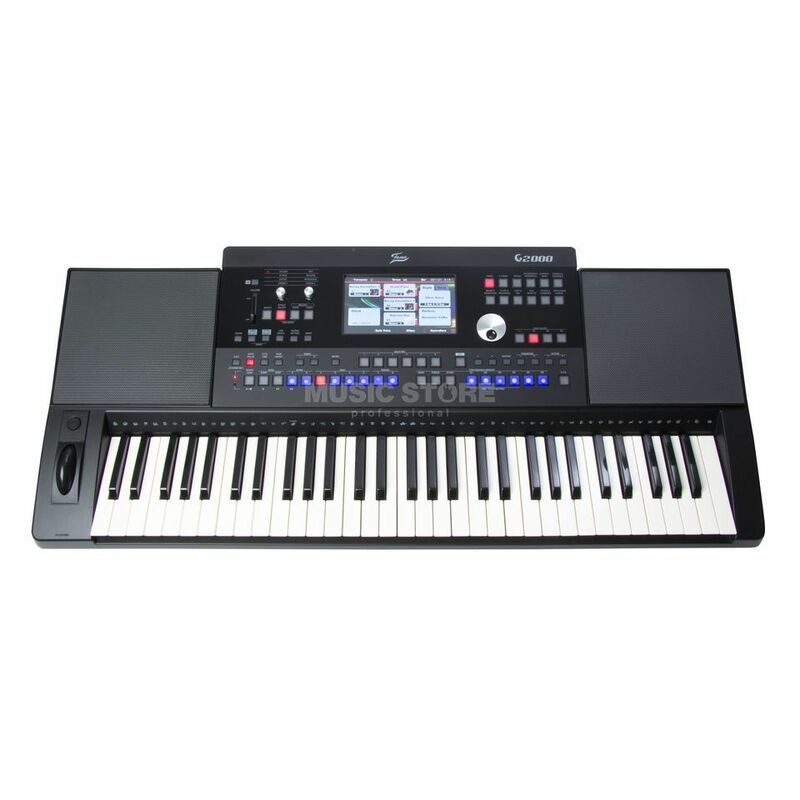 This instrument in my opinion is suitable for all types of musicians from beginner to pro, I have been playing keyboards, Piano etc for many years and for the price it is the best of ever played.